The fall season is the best time for layering clothes. And of course, you are allowed to this as long as you do it in the right fashionable way. So, that is why we are always here for you to give the best fashion tips and thus make you look stylish all the time. Today, we would like to show you how to style a long vest, which is considered as a fall layering fashion essential. 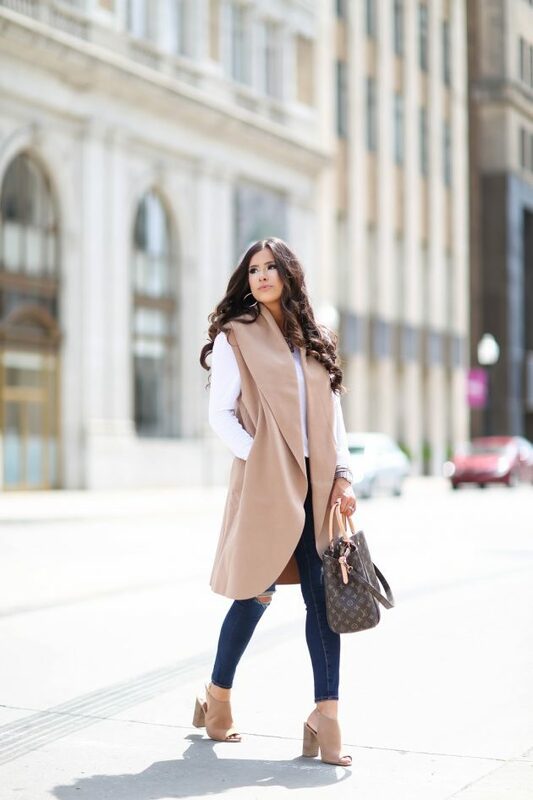 Yes fashionistas, long vests are perfect fashion staple for fall layering. They can be found in so many versatile styles and colors, so you will for sure find the right one for you. Depending on the style you choose, you can wear it as part of your street style looks, your office attire or maybe even part of your combos for a night out. And when it comes to colors, black, camel and grey may be the most common choices for these long vests or sleeveless coats. 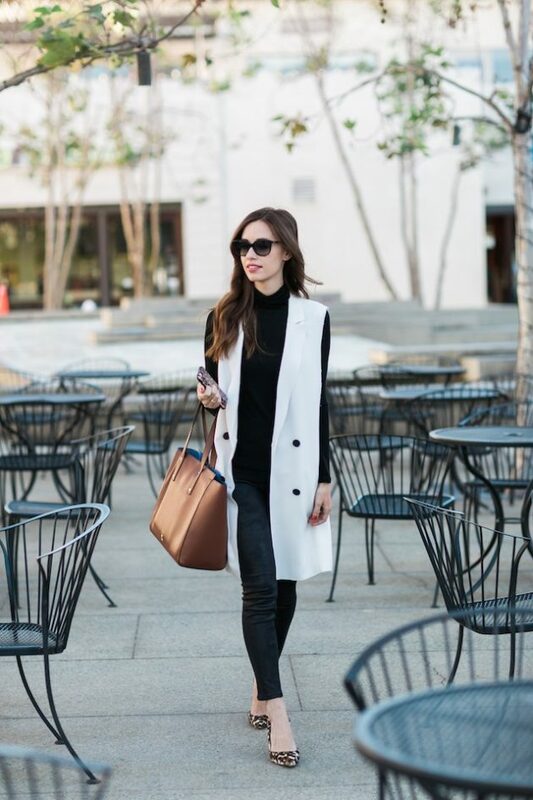 Below, we have chosen several fall outfit combos with versatile long vests. Check them out and choose how you will wear your long vest this fall. Enjoy! Long vests are the right layering piece of cloth for your combos with shirts and jeans or sweater and jeans. On some colder days, you can even wear one such vest over a leather jacket. Choose whether you will get a trench, belted or pea coat one. These long vests are more like dressy type of outerwear, so they look best when styled with heels or some flats. Scroll down now to see the rest of the outfit ideas that we have chosen for you today and choose which one is your favorite. So, which one from the above fall outfits with long vest did you like the best? Tell us in the comments and make sure to get one such vest for the upcoming fall days. Thank you for reading and don’t forget to stay up to date with the content of Fashionsy to keep up with the latest fashion and beauty trends.